Hopefully I gave you some good NYE outfit ideas in yesterday’s post, but if you need more inspiration, check out this month’s At Any Age! 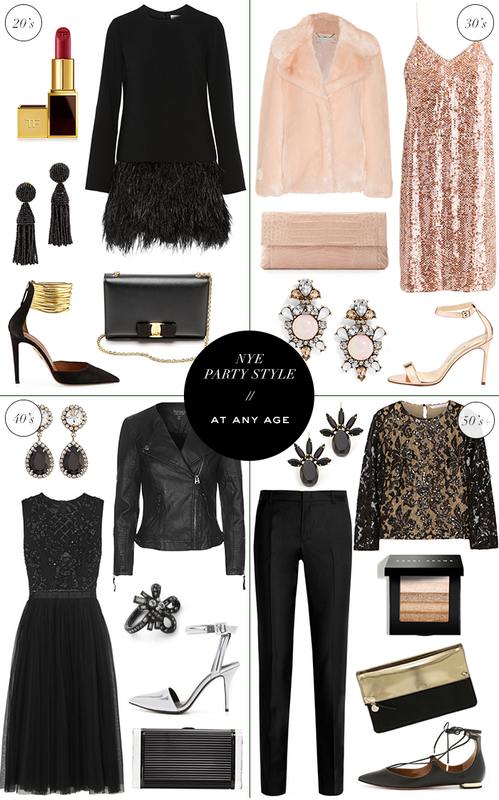 I’ve also rounded up many more party looks below – all of these are an additional 25% off (TODAY ONLY) with code BONUS25 at checkout! Headed to the beach for New Year’s? Take this shimmering number with you. It’s relaxed enough to wear with flat sandals! This Rachel Zoe sequined mini is the quintessential New Year’s Eve number. For something a bit more subtle, this Marchess Notte cocktail dress would be wearable year-round to weddings! Have a black tie ball or wedding on NYE? This stunning sequin gown is only $417 with the discount code! This beaded dress is a gorgeous option for NYE with a bit of old hollywood glamour. Now that you’ve found the perfect dress, you need these perfect shoes. I seriously LOVE everything in this post! Merritt – you do this edits so well! I have always loved your At Any Age series. 20’s and 40’s PLEASE AND THANK YOU! :) So gooooood! !